NBC is actively working on finding an alternative to cancelling the ratings-challenged but fan-favorite Constantine, which might include a move to another, NBC Universal-owned cable network, sources with knowledge of the situation have confirmed for ComicBook.com. NBC's cable division includes USA Network, CNBC, Syfy, MSNBC, Bravo, Oxygen, mun2, CNBC World, Chiller, Sleuth and Universal HD. Of those, Syfy seems the most likely home -- and one that has been discussed by fans online for a while now -- but Bravo, Chiller, USA Network and Sleuth have all run similar programming at times. A report emerged last night from Cinelinx that the series could be headed to Syfy -- a move they say would include a retitling to Hellblazer and see the show play up some of the horror and comic book elements over the stand-alone, procedural elements that have driven much of the series on NBC. That story was picked up in a few places around the Internet, and Constantine set designer David Blass seemingly confirmed that talks were taking place via Twitter. 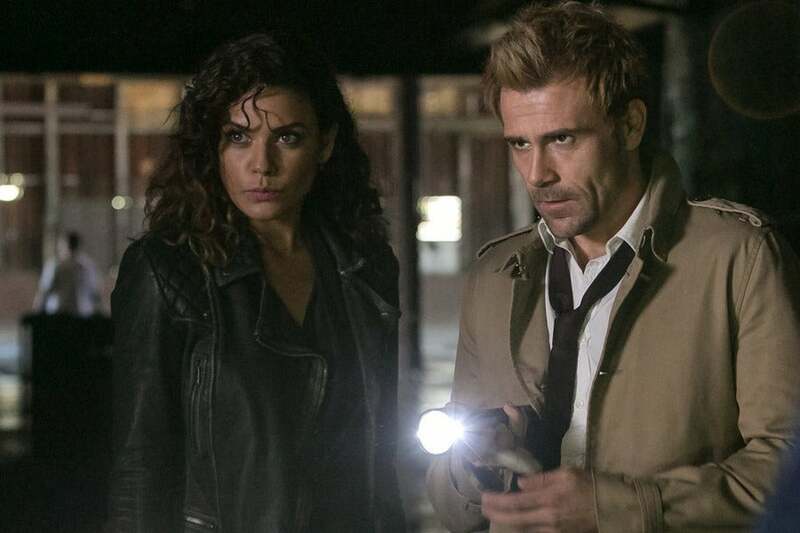 A recent marathon of Constantine did fairly well on Syfy, and recently executives have suggested that they'd like the network to re-embrace its science-fiction roots. Executives at the network, which recently had a major shake-up, have been looking for their own original hit a la American Horror Story or The Walking Dead. While uncommon, shows having success after a network move is hardly unprecedented; ABC Studios recently moved Cougar Town from ABC to TBS, where it had solid ratings and earned another three seasons (it concludes this spring after six years). Other fan speculation has centered on web-based venues like Hulu and Netflix, but that would depend heavily on the nature of the deal between NBC Universal and Warner Bros. Television. It's not unlikely that going forward anywhere without NBC's blessing is impossible, considering the investment in the project that they have put in thus far. Inquiries to NBC Universal and Constantine's production team have yielded no response as of the time of publication. This story will be updated to reflect any official response.